The SAAB Seaeye Cougar-XT ROV is a compact work-class ROV rated to 2,000 meters, and capable of speeds over 3.2 knots. 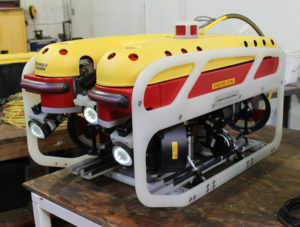 It adds significant power and capability to Global’s already impressive fleet of ROVs. The Cougar-XT is an incredibly versatile machine, and with Global’s additional tooling and interface options we’ve made it the most powerful, capable ROV on the West Coast. With accessories like five-function manipulators and cutters, drills, multiple camera and lighting arrays, and various sonar add-ons, Global can customize the Cougar-XT specifically for your project. The SAAB Seaeye Falcon is an inspection-class vehicle rated for depths up to 330 meters. Lightweight yet powerful, the Falcon is an exceptionally efficient, versatile machine. The Falcon is small enough to be deployed and retrieved by hand and transported in a pick-up. Global’s Falcon is fitted with single-beam scanning sonar and supports a number of other sonar options, additional sensors and tooling add-ons. The Falcon’s high-resolution fixed-focus camera is fitted to a platform that can be tilted up to 90-degrees. The Falcon DR is small, agile and powerful. The DR is rated to a depth of 1000 m, but the fiber-optic tether can be switched out for a smaller footprint if the full range is not needed. The Falcon DR features 3 variable-intensity LED arrays of 3200 lumens each, and the lights tilt with the camera angle. When used with the fiber-optic tether, the high resolution camera can provide 3 simultaneous video channels. Global’s Falcon DR is fitted with single-beam scanning sonar, but its advanced telemetry system allows for numerous sensor integrations such as HD 1080p real-time cameras, MBES packages and BV5000-3D sonar. This versatility makes the Falcon DR more suitable than the Falcon for in-depth systems manipulation and analysis. The VideoRay Pro 4 is a small, portable system specifically configured to quickly and effectively perform a variety of basic underwater tasks. 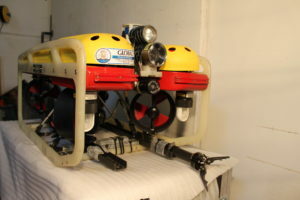 Weighing only 6.1 kg, the ROV can be easily launched and retrieved by hand, and can reach a maximum depth of 305 m. It features a 570-line resolution camera with .004 lux low-light sensitivity and 180-degree tilt range. Global’s VideoRay has two LED arrays for a total of 3,600 lumens, and an optional HD 1080p camera and sonar can be mounted externally. The Stingray is an inspection-class ROV, rated for depths up to 350 meters and designed to accommodate a wide spectrum of tasks with numerous tool and device options. Weighing only 70 lbs., the Stingray is easily shipped and can be deployed and operated by one person, making it ideal for work in remote areas. 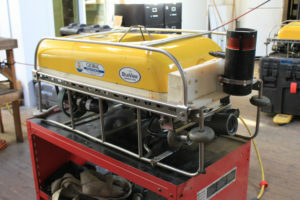 For small pipeline inspection purposes, Global offers the VersaTrax tracked ROV. Useful in a variety of situations, its primary use is in the inspection of dry or flooded pipelines (up to 44.5 psi). 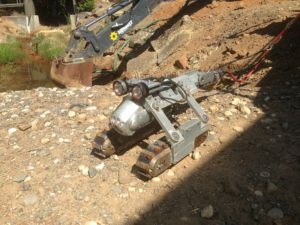 The tracks and camera can be mounted in-line to traverse pipes as small as 6 inches (15 cm). The more conventional parallel configuration is suitable for pipes 10 inches (25 cm) and wider, and enables steering and stability by angling the tracks. A 1000 foot (304 m) umbilical makes long penetrations possible. The VersaTrax offers real-time color video monitoring and variable intensity lighting. Video output can be annotated with on-screen and audio information. 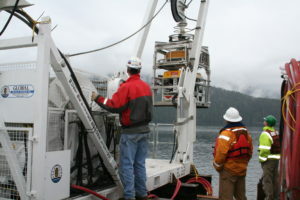 We offer a full range of Remotely Operated Vehicles (ROVs), including those suited for pipeline inspection and "flying eyeballs" tasks, as well as work-class ROVs. We maintain our fleet for ready deployment at all times. 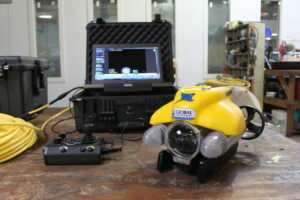 Our ROVs carry standard high-resolution color video cameras with recording capabilities. For tasks requiring greater documentation, we offer sonar, video, and audio annotation, low-light-level (S.I.T) cameras, monochrome video cameras, laser scaling, range finding and aiming, non-destructive testing, and other optional capabilities. 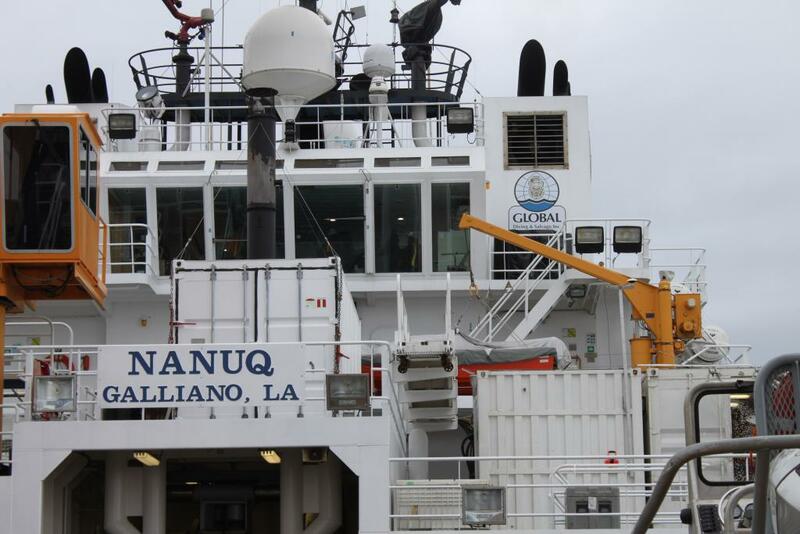 Special tooling is available to enable surveys and mapping, sampling, wire cutting, light salvage, recovery, and other tasks.